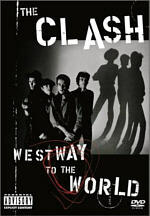 The only up-close and personal film about the juggernaut band The Clash, and their meteoric trajectory through rock ’n’roll history, The Rise and Fall of The Clash features previously unseen footage of the band at work and at play as well as interviews with the individual band members and with those who knew them well. For a look at the once-declared “only band that mattered”, we go to 2012’s The Rise and Fall of the Clash. 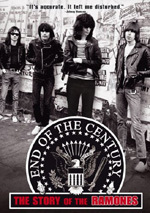 As expected, this takes a look at the history of the iconic punk band. The show offers modern interviews with Clash members Mick Jones, Terry Chimes, Nick Sheppard, Vince White and Pete Howard, musicians Pearl Harbour, Viv Albertine, Mickey Gallagher, Norman Watt-Roy, Vic Godard, Dan Donovan, Chris Townsend and Tymon Dogg, authors Chris Salewicz, Kris Needs and Pat Gilbert, photographer Mike Laye, filmmaker David Mingay, Clash security Ray Jordan, poet Jock Scot, Clash NY office Mark Helfond, friends Jesus Arias and Rudy Fernandez, sound engineer Fayna, and DJ Barry Myers. We also get archival comments from Clash members Joe Strummer and Paul Simonon as well as manager Bernard Rhodes. After some retrospective opinions, Rise discusses band manager Bernard Rhodes and his impact on the band. We learn of his firing in late 1978 and return in 1981 before we examine the musical and personal paths taken by the Clash from there. This means a view of personnel changes – most significantly Mick Jones’ firing - and how they affected the group. In terms of title, The Rise and Fall of the Clash seems inappropriate. That moniker will lead viewers to believe they’ll find a broad biography of the band, but that’s not vaguely accurate. We learn virtually nothing about many of the usual subjects, so we locate no info about the band’s origins or the musicians’ biographies or the creation of their important albums. For instance, London Calling gets alluded to in passing and that’s it. Because of this, Rise may disappoint some folks who want a general history of the Clash. That’s what I anticipated, so it took me a while to wrap my head around the program’s actual focus. Once I did so, I enjoyed Rise - with a wee a grain of salt, that is. I think the show demonstrates a pretty strong bias for one camp and against another, but unfortunately, most of the comments come from the folks in the first group. Some of that’s unavoidable; Strummer and Rhodes are in the “maligned group”, and both are dead, so they can’t address the subjects. Simonon and Headon remain alive and might’ve added some balance, but they don’t appear; I’d assume they were asked but declined to participate. Whatever the case, we’re left with a lot of sympathy for the Mick Jones side and not much for the Strummer/Rhodes element. This doesn’t make the information in Rise inaccurate, but it does leave a potential unbalance that might make one question how close to the “real truth” the information hews. Despite that qualm, I find a lot to like about Rise, largely due to its concentration on the band’s decline/downfall. While I went into it with the expectation of a general biography, I think the focus on the group’s problems/collapse becomes pretty fascinating, especially given the detail it receives. In a more standard band documentary, the subjects shown here would get maybe five minutes and fall into the “footnote” category. The choice to make these areas the focus adds an interesting slant. It also means we’ll learn a lot more uncommon information than otherwise might’ve been the case. In particular, we hear a lot about the ins and outs of the post-Jones Clash, and those moments become terrific. I knew a little just due to being a rock fan in those days, but I wasn’t aware of the dynamics involved and what happened behind the scenes. Honestly, the potential bias involved here ends up as the only mild criticism I can muster. Rise documents a lesser-known aspect of the Clash’s career and does so in a brisk, involving manner. This turns into an enjoyable and informative piece. 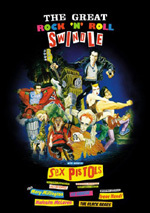 The Rise and Fall of the Clash appears in an aspect ratio of approximately 1.78:1; the image has been enhanced for 16X9 televisions. This was a competent image but no better than that. Many of the variations in quality connected to the different sources. The show split between old archival footage and modern interviews. Unsurprisingly, the former showed lots of problems. They were often rough and unattractive. I didn’t find the old clips to be poor for the most part, but they came with quite a few signs of source flaws, iffy definition and bland tones. As for the newer shots, they were more consistent but still not better than average. For the interviews, sharpness usually seemed fine, though many exceptions occurred. At times these bits came across as fuzzy and ill-defined. Nonetheless, they normally presented decent clarity. Not much shimmering occurred and I noticed no edge enhancement, but quite a lot of jagged edges appeared throughout the show. New shots demonstrated a little video artificating, but otherwise the modern footage looked clean. Colors were acceptably full. They never looked terribly good, and they sometimes were flat and drab. Nonetheless, for this kind of material, the tones seemed fine in general. Blacks were usually reasonably dark. This wasn’t a good-looking program, but it worked okay for material of this sort. In addition, the PCM Stereo soundtrack of Rise was a mixed bag. As one might expect, music dominated the spectrum. Studio recordings showed good stereo presence, but music that came from cruder sources - like primitive film footage from the Seventies - was mono or close. At times the songs spread to the sides in a somewhat awkward manner, but the channels didn’t do much with them. The rest of the mix appeared to be single-channel. Audio quality varied, and not just because of the different sources. Again, professionally recorded music sounded positive, with decent clarity and dimensionality. Less stellar sources showed more significant problems, as those bits were usually rough. Effects had little to do in the program, but they were fine given their limited. Speech was natural enough and always seemed intelligible. This was an acceptable mix given the nature of the program. No extras show up on the disc. That comes as a disappointment, as I expected additional interviews at least. 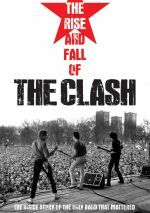 Fans who want a general biography of the band might feel disappointed, but I like the focus found in The Rise and Fall of the Clash. It provides a strong look at the group’s personnel problems/decline and it delivers solid info about those areas. The DVD brings us average picture and audio but lacks any bonus features. The absence of supplements disappoints, but I think the program becomes essential viewing for Clash buffs.